Dear friends and followers alike! 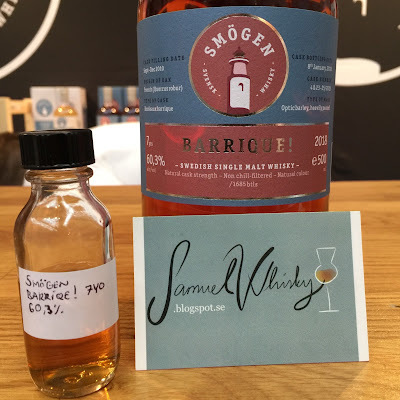 About a month ago I worked for Edrington at this years Whiskyexpo in Linköping. As I most often do I passed by the stand of Smögen Distillery to talk to Pär Caldenby (Master Distiller and Distillery Manager) to see if he had anything that he wanted me to review. Most willingly he shared a sample of their coming release called "Barrique!". Here in Sweden it will be released as a web launch this thursday (the 1st of March) and you can view it by clicking here. Barrique consists of a vatting of four european (french) barriques (225 litre casks) that has previously matured Bordeaux-wine. The casks used are number 4, 23, 24, and 25. The casks were filled with newmake starting in september 2010 ranging through to december 2010. 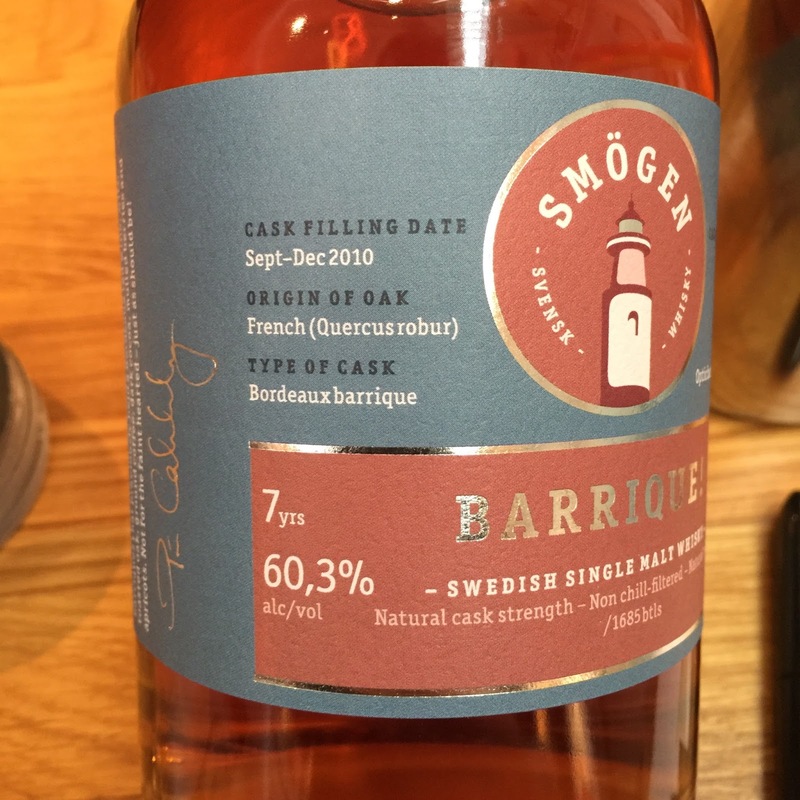 The whisky was bottled at 60,3% ABV (natural cask strength) on the 8th of january 2018 making the whisky 7 years old. 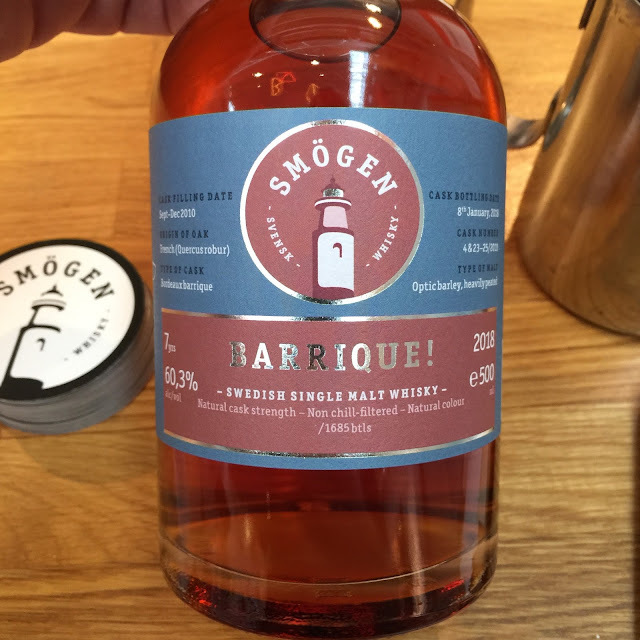 The (officially) oldest whisky from Smögen Distillery so far. 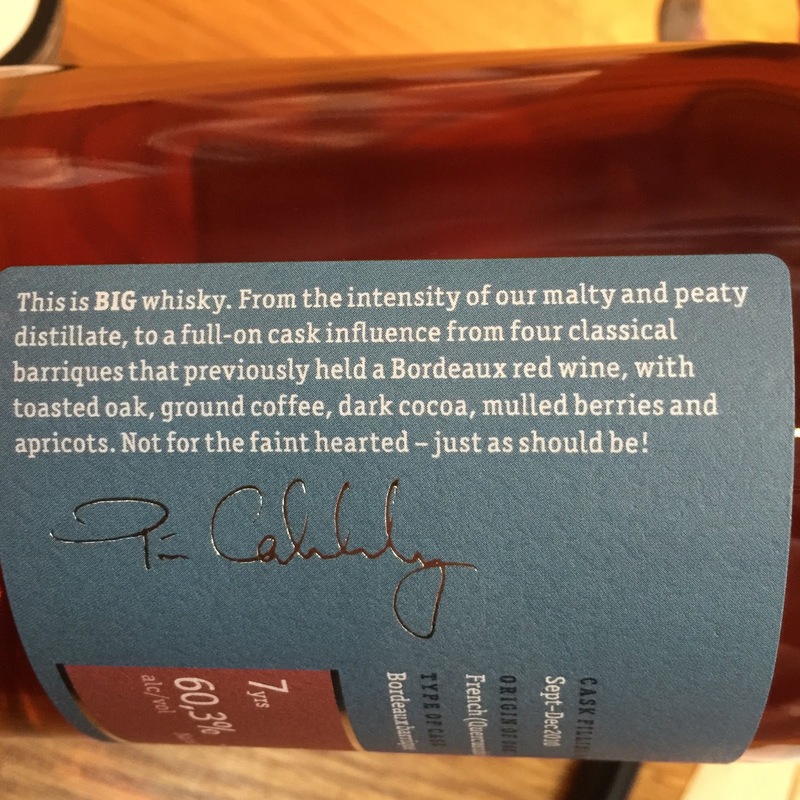 The casks gave 1685 bottles out of which 1320 are available via the web launch. Ok folks, let's see what we have here! A delicious, and very soft, symphony consisting of: peaty sea-salt (peat and sea-salt at the same time), raw-sugar syrup, old (sweaty?) leather shoes, distillery warehouse with a tad of faint yeast, and finally red Bassett’s winegums (or maybe rather the swedish candy ferraribilar). In the very center of the nose is a very firm peated dark vanilla fudge (think: ordinary vanilla fudge cubes but darker and peated).